verdict : Go for it ! She didn’t set out to become Calcutta’s expert in infidelity cases, but that is where her detective agency has taken her. When the deceit gets too much, she finds a welcome distraction – and a means to pay the bills – by becoming a food critic for a magazine. And since she once dreamed of becoming a pastry chef, she doesn’t mind much, does she? But what really turns her on is solving a juicy mystery. Her worlds collide when a gourmet provisions supplier she had once profiled ends up dead under suspicious circumstances. She might be rusty, but her food-obscured nose can still sniff out a murder, and she decides to launch her own investigation. Then her ex-boyfriend shows up at her doorstep when he finds himself being treated as prime suspect in the kidnapping of his own wife! Suddenly, Reema is handling not one but two cases. With no access to official evidence, she relies on the meddling group of do-gooders she has dubbed the Calcutta Crime-Fighter’s Club. If all this wasn’t trouble enough, the alluring Shayak Gupta turns up around every corner, and while she can’t seem to resist him, she doesn’t believe a word he says either. 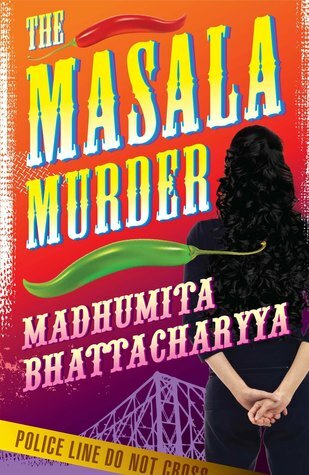 This first Reema Ray mystery follows a comical ride through Calcutta – as Reema comes to terms with her feelings about the men in her life while whipping up delicious meals and being beset by criminals and the police alike! I love cosy mysteries , and this book was a delight to read. My grouse has always been that there aren't enough cosy mysteries by Indian writers , and Madhumita probably heard my whining and decided to write this book ;-0 . The best in this genre IMHO is Tarquin Hall's Vish Puri Series( Mma Ramotswe is a strong contender too , but not as fun as Vish Puri ) . Though Madhumita's protagonist comes nowhere close to Vish Puri, Reema is a good contender. I love the concept of a struggling Private Investigator who takes up food writing because her practice isn't doing too well. She is mostly bombarded with matrimonial background check cases and takes to writing movie reviews and food reviews . Then , she stumbles upon two cases ( one a kidnapping and another a murder ) and cannot get herself to stay away from either ..
Plot-wise , I didn't think it was anything spectacular , as one of the two cases was really easy to figure out right from the beginning . The other case wasn't ok and one doesn't get the satisfaction of slowly working things out as layer upon layer of mystery is peeled open to reveal a stunning answer . No, this book is not going to be one of that kind. Infact , Madhumita takes her time to even get into the first case ( almost 60 -75 odd pages) . But that could be because this book is envisioned as first in a series of several books and Reema's background and her circumstances in life is delved into in detail. I can totally see myself wanting to pick up the next in the series mainly to see what happens to Reema next. 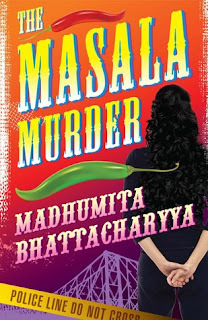 But Madhumita has done a great job of painting character sketches of people .Of course one cannot compare Madhumita's Reema to Alexander Mccall's Mma Ramotswe and her peculiar brand of home-grown justice .But Reema is sure to flourish in her own way. There is a strong chick-lit flavour to this book as the book is narrated in first person. Now I know a few people who feel that crime fiction in first person is amateurish but I am not one of those people. First person account of an investigation somehow is perfect for a book like this where the investigator's circumstances is as important as the crime investigation. The last few books that I've read have been by Bengalis ( and two of them called Madhumita!) , and I can't but think about the rich literary landscape of Calcutta that has been the honing ground for so many authors. Overall , a charming read. Don't look for crazy plots or nail-biting speed. This one is meant to be savoured. Perfect for a sunny ,lazy sunday afternoon. My book was sponsored by Mysmartprice.com. Love shopping for books online? You should check their site out to see which site offers the best deals in not just books , but a host of other categories. It is a fun book .. not yet. will have to pick it up soon..